The new Miss Kazakhstan is 21 year old Zhazira Nurimbetova. 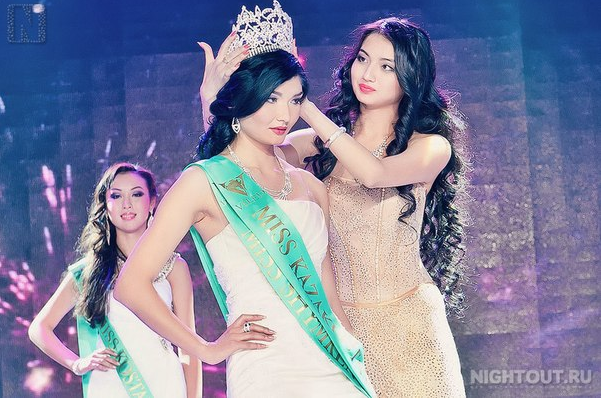 She will represent her country at the 2013 Miss World Pageant in Indonesia. Interesting look. Need to see more. I don't like her looks. way too serious. I prefer the blonde in the background of the first pic.she looks like Ksenia Sukhinova.